Early June 2008, the workship RAM departed to the Black Sea in Romania for a major job for Van Oord Offshore. The RAM travelled via the Rhine, the Main Danube canal and then the Danube to arrive in the port of Midia, where the Rompetrol oil company has a large refinery. An SPM buoy had to be installed 8 km off the coast to make it possible to receive large cargoes. 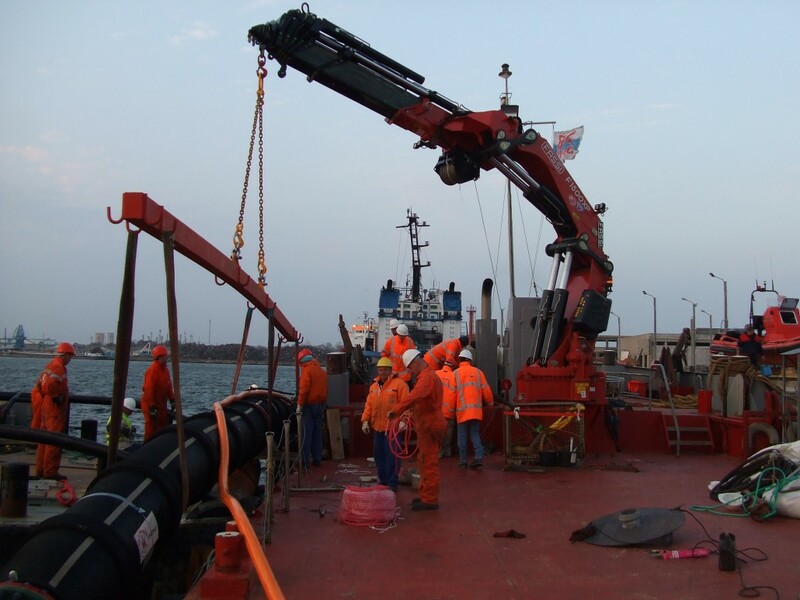 The job was a follow-up to the work done with Van Oord in 2007, where assistance was given during the installation of, and subsequent coating repairs to, the Workum – Medemblik gas pipeline (using a habitat). 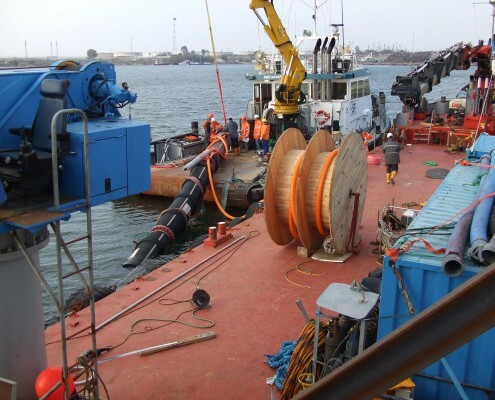 Before the six anchors to which the buoy is moored could be installed, 8 km of approximately 800-mm diameter pipe was to be installed using a large pipe layer. The DUC divers performed regular inspections of the ‘touch down’ locations, the pipe trench and the position of the new pipeline. In the meantime, the RAM was used in the port as a crane ship for the assembly of the SPM buoy and the Pipe Line End Manifold (PLEM) that forms the connection between the pipeline on the seabed and the subsea hoses that are attached to the buoy. The connection of the PLEM to the pipeline and the connection of the hoses to the buoy were made at a depth of 27 metres. For this reason, we chose to use our own Nitrox systems. After the connections were made, all of the attachment bolts were tightened using a “Hydratight” system. The diving activities were completed in November, after which the RAM remained at the site to perform various tests. The activities for DUC Marine Group were completed in January 2009, including all of the tests. 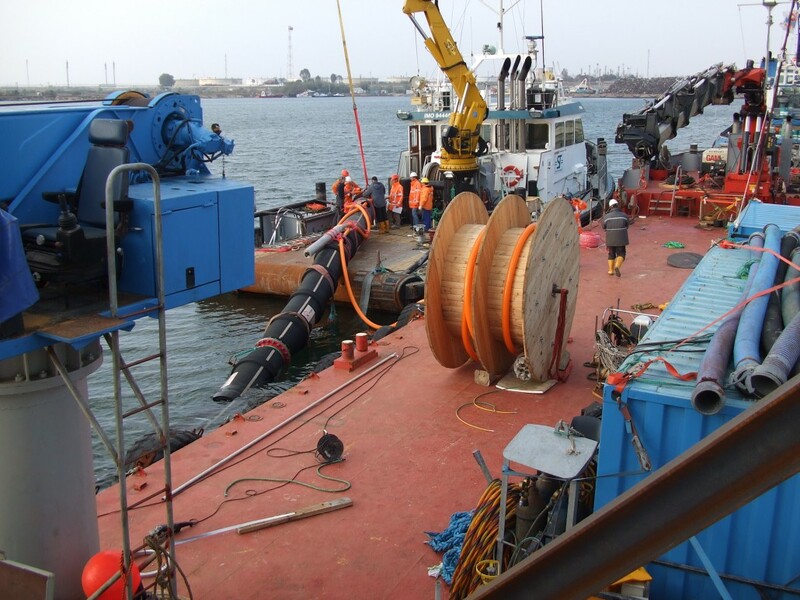 The main activities that DUC was involved in for this project were the use of our workship the RAM, the execution of all of the diving activities, including the dimensioning and installation of the spool piece, hydratightening, inspections, the connection of the hoses between the PLEM and the buoy, etc.